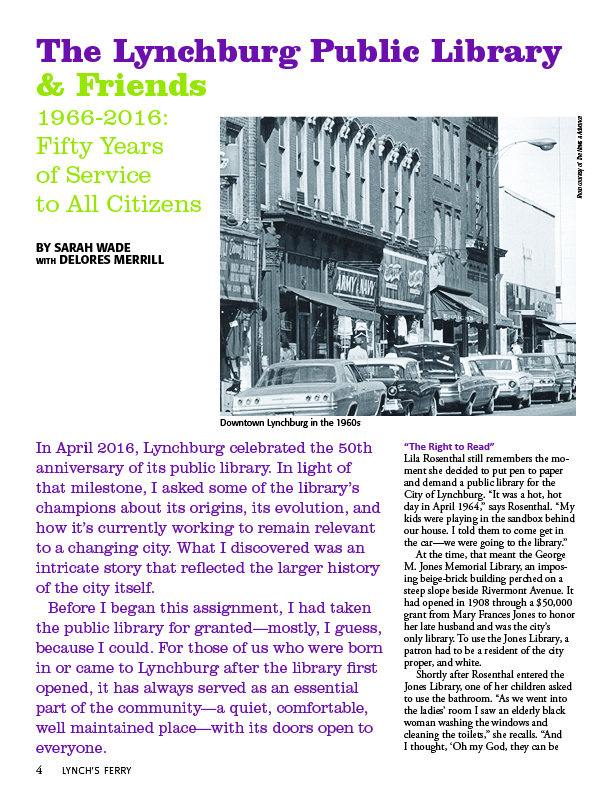 In April 2016, Lynchburg celebrated the 50th anniversary of its public library. In light of that milestone, I asked some of the library’s champions about its origins, its evolution, and how it’s currently working to remain relevant to a changing city. What I discovered was an intricate story that reflected the larger history of the city itself. Before I began this assignment, I had taken the public library for granted—mostly, I guess, because I could. 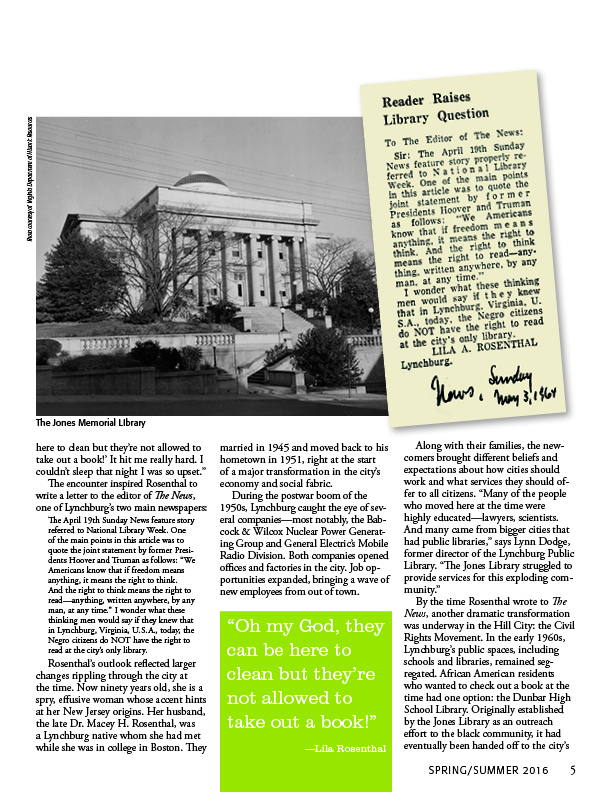 For those of us who were born in or came to Lynchburg after the library first opened, it has always served as an essential part of the community—a quiet, comfortable, well maintained place—with its doors open to everyone. At the time, that meant the George M. Jones Memorial Library, an imposing beige-brick building perched on a steep slope beside Rivermont Avenue. It had opened in 1908 through a $50,000 grant from Mary Frances Jones to honor her late husband and was the city’s only library. To use the Jones Library, a patron had to be a resident of the city proper, and white.